Dave Anderson launched Anderson 360 Solutions as an expert in providing safety training along with dealing with business risk and compliance needs. Dave’s extensive experience affords him the ability to assist clients with practical real-life business solutions. His dynamic coaching style, combined with clear-thinking and honest advice prompts businesses to explore solutions to improve on their bottom line. With over 20 years of professional experience in all aspects of Environmental Health & Safety, as well as Human Resources, we are known as the expert in the industry. Our professionals have been responsible for all Environmental Health & Safety matters including MSHA, OSHA, DOT, EPA, DNR, ATF and other regulatory agency inspections and compliance situations. Dave’s expertise includes: professional speaking engagements, environmental health & safety training & compliance, CPR, first aid & AED certifications, sales strategies, leadership development, team building & accountability, personality assessments & performance optimization, human resource services. Our pro-active attitude on Accident Prevention and Leadership Training through Understanding People, Behaviors, and Work Place Demands has put Anderson 360 Solutions at the top of the Industry. 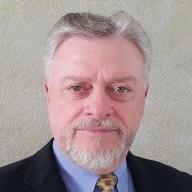 Frank Camodeca is currently the General Manager, Industry Development, Stone, for Dyno Nobel. Frank has over 20 years of extensive practical and professional experience within the explosives and drilling and blasting industry. Frank began his career within the industry employed as a licensed blaster in the state of Illinois. Frank was also employed with a major global explosives manufacturer with roles of increasing responsibility in the United States as well as Canada and Mexico, from technical sales, safety management, product management of packaged and bulk explosives as well as commercial management of a multi-state region in the Central United States. Frank further was employed by a major US Stone producer as manager of drilling and blasting that encompassed 18 surface operations as well as 3 underground mines. Lastly, Frank is a member of the International Society of Explosives Engineers (ISEE) and holds a BA from The Citadel in Charleston, SC as well as an MBA from Capella University located in Minneapolis, MN. Alan Campoli is the Director of Resources for synTerra’s Mining and Energy Services and also works as a Senior Consultant for Jennmar. He holds a Bachelor of Science in Mining and a Master’s Degree from the University of Pittsburgh, and earned his Ph.D. in Mining Engineering from Virginia Tech. Alan has 30 years of engineering and sales experience focused on rock reinforcement, standing support, ground water containment, and ventilation issues. He is certified as a Professional Engineer and Mine Foreman. Alan is also recognized as Jennmar’s VP of Special Projects, Minova’s Business Development Manager, and has experience as a consulting engineer, coal miner, and U.S. Bureau of Mines researcher. Peter Christensen is a Principal Consultant with RESPEC and holds a Mining Engineering degree from the University of Queensland. Peter has worked over 30 years in the industry. Peter started his career at the Curragh mine in Australia as a Graduate Engineer. He has lived and worked in Australia and the US, and was the senior site executive in Queensland. Mr. Christensen has extensive international experience in open-cut and underground mining. He has held senior positions with major mining companies, mining contractors, and service providers; these roles included engineering manager, operations manager, safety manager, and project manager. Mr. Christensen has experience in managing feasibility studies, new mine development, mining method and equipment selection, mine planning, cost estimation, and reserves estimation. Currently, Peter is responsible for providing leadership on projects for a range of cement, aggregates, chemical lime and industrial minerals companies in the United States, Europe and Asia. While he has extensive experience in surface and underground operations, he provides technical leadership within RESPEC on underground mine engineering. Peter lives in Denver Colorado. In his free time with his wife Joy they enjoy travelling, hiking, live music, field hockey, and lazing an afternoon away at a Colorado Rockies game. Peter is Registered Member of SME, and a member of the AusIMM, Colorado Mining Association, Rocky Mountain Coal Mining Institute and the Denver Coal Club for which he currently serves as president. George Fensome is an Area Manager for Sandvik Mining and Rock Technology. Mr. Fensome covers North Americas and Canada. George started work for Allis Minerals Systems Tidco Croft in 1990 as a Management Trainee, then during the Svedala years worked as UK Sales Manager, European Product Manager and in 1999 became General Manager for Europe. In 2001, George took a position with Sandvik as Product Manager for Impact Crushers with the task to design a range of VSI impactors for Sandvik. The 100 series Merlin VSI was launched in 2002. Then in 2005 the next series of Sandvik VSI’s were launched. George lives in the UK with his wife of 35 years Hilary; he is also an active member of Thornbury Rugby Club where he has played over 750 games. He also believes that football is football and not soccer. Mr. William Hissem is the Senior Mining Engineer for Sandvik Mining and Rock Technology in North America. After taking a Bachelor of Science degree in Mining Engineering at Colorado School of Mines in 1979, he worked for ASARCO, Amax Metals, and Eisenman Chemical at mine operations in the western US. His work included a full spectrum of engineering staff and field production assignments in both open pit and underground operations. He then joined Tamrock in 1983 where his work initially focused on hydraulic top-hammer drilling and its practical applications in the US market. Since that time, Mr. Hissem has developed and implemented proprietary time-study and cost analysis software specific to drilling applications in the course of serving clients throughout North America, South America, and Western Europe. Currently he is responsible for assisting Sandvik’s customers and clients in the mining, quarrying, and construction sectors of the industry with process and optimization solutions using the full range of rock excavation and process equipment available today. He is an active member of the ISEE, and a member of the NSSGA. He resides in Neenah, WI - married - 2 children - 3 grandchildren - all joy. Patricia Lim works for the Applications Technology Group as Senior Field Applications for Dyno Nobel and holds a Bachelor’s Degree in Chemistry from Concordia University in Montreal, Quebec. Pat has worked 25 years in the industry. Pat started her career at ICI Explosives as a formulations chemist and held different positions such as Emulsion R&D, Federal Explosives Inspector, Radiation & Explosives Compliance, field applications etc. Currently, she is responsible for field applications in western Canada, western US and the arctic. Pat is a member of the ISEE and CEAEC. She lives in Okotoks, AB. In her free time she enjoys cooking, friends and drinking wine. Dr. Braden Lusk is Vice President DynoConsult with Dyno Nobel. He received his B.S. and Ph.D. degrees in Mining Engineering from the University of Missouri-Rolla and is a registered Professional Engineer in Kentucky, Missouri and Ohio. Before joining Dyno Nobel in August of 2018, Dr. Lusk was Professor and Chair of Mining & Nuclear Engineering at Missouri University of Science and Technology. He has demonstrated expertise in research and teaching specialized around the area of Industrial/Mine Blasting, Mine Operations, and Blast Mitigation. He received the Mining Engineering Department Teacher of the Year Award seven times at the University of Kentucky, the ISEE president’s award in 2012, the SME Coal and Energy Division J.W. Woomer award in 2012, and the UK College of Engineering Dean’s Award for Excellence in Research in 2014. He was previously Professor and Director of Graduate studies at the University of Kentucky Mining Engineering Department as well as Director and founder of the University of Kentucky Explosives Research Team (UKERT). UKERT is a recognized Service Center at the University of Kentucky that provides research services for many interdisciplinary projects across the University and beyond. He was a co-host for the Discovery Channel series The Detonators. Dr. Lusk has experience blasting in operations including aggregate quarries, surface coal mines, underground salt mines and demolition blasting dating back to 1996. He has worked for Hutchinson Salt Company, Marston & Marston, Dykon Blasting, Cargill Salt, UMR, and UK since beginning his career as an undergraduate student. He has served on the SEE Education Board of Trustees and is currently the Vice President – Technical of ISEE. Dr. Lusk lives in Rolla, Missouri with his wife Shannon and two daughters Kendrick and Gillian. They enjoy time at the Lake of the Ozarks and boating with family. Patrick O’Connor is a Data Scientist at Dyno Nobel and holds both a Ph.D. in Physical Chemistry and M.S. in Aerospace Engineering from Penn State University as well as a B.S. in Aeronautical and Mechanical Engineering from Rensselaer Polytechnic Institute. Patrick has worked in the industry for 6 years. Patrick started his career at Dyno Nobel as a Manufacturing Quality Engineer for booster manufacturing and later moved to electronic detonators manufacturing. Prior to Dyno Nobel, Patrick was a Research Scientist studying Explosively Generated Plasma for Naval Research. Currently, Patrick is responsible for developing analytical tools for efficiency improvements and cost savings initiatives for the Initiation Systems group. His other focus is in developing machine learning techniques to study organization-wide problem sets. Patrick currently lives in Long Island, NY. In his free time, he likes to travel, experiment in photography, and read science and mystery novels. Vince Slone works in the Electronic Initiation Systems (EIS) group for Dyno Nobel. He holds a B.S. in Mining Engineering from the University of Kentucky and M.S. in Explosives Engineering from Missouri S&T. He has worked in the mining industry for 6 years. Vince started his career at the Bingham Canyon Copper mine in Salt Lake City, Utah where he held multiple different engineering and supervisory roles. It was his interest in blasting that led him to apply and accept a job with Dyno Nobel where he has worked for the last 2 years. Currently he is responsible for product support and training for Dyno Nobel electronic initiation systems in North and South America with a majority of his time focused in the western United States. He lives in Salt Lake City, UT and in his free time enjoys reading and travelling. Tony works in Volvo’s Key Account Group, primarily calling on customers in the Quarry and Aggregate Segment. Tony holds Economics and Business Degrees from North Carolina State University and an MBA from Western Carolina University. He has worked 27 years in the industry. Tony started his career with Volvo in 1992 placing orders on Volvo’s respective plants around the world. Over the years, he has been responsible for Technical Sales Support, Production and Cost Estimation, Sales and Product Training, and a variety of Business Management roles. Currently, Tony is responsible for Key Account Management and Sales in North America including some of the largest Aggregate and Construction companies in the country (and world). Tony and his family live in Asheville, NC. In his free time, he enjoys being outdoors and staying active – usually running or biking. Teenage daughters are still the primary focus of time and energy outside of work. 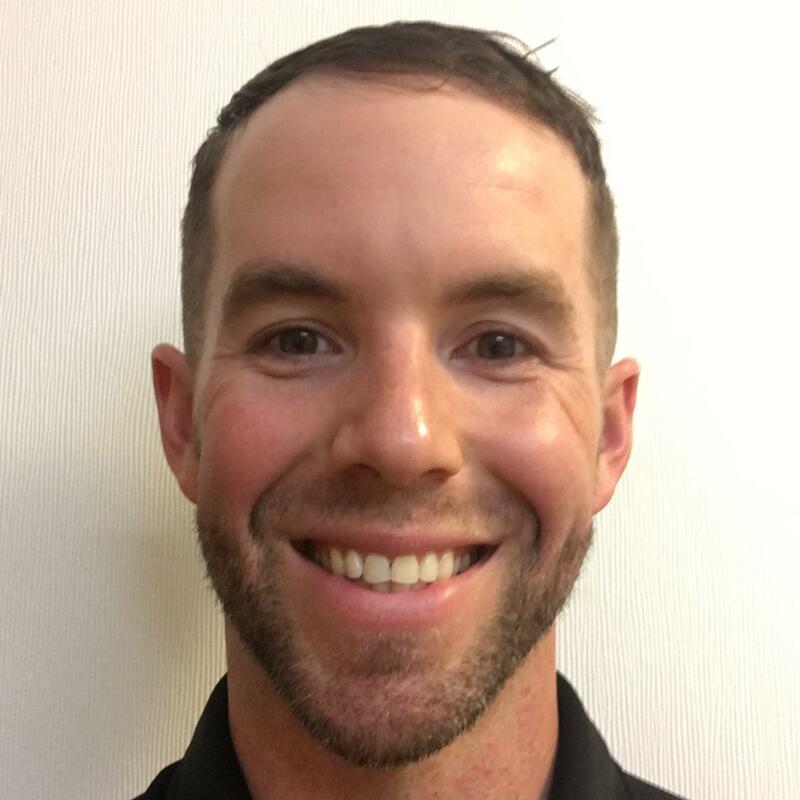 Wade Turlington is the Director - Customer Center, Sales & Operator Training, Road Institute at Volvo Construction Equipment and has over twenty-five years’ experience in the construction equipment industry. He is responsible for overseeing operations of the Volvo CE North American Customer Center as well as planning, assessment, implementation, facilitation and tracking of all sales and operator training programs within Hub NA. In his current role, Wade is also responsible for demonstration, sales and feasibility studies for Volvo Advanced Operator Training Simulators in North America. Prior to this position, he worked for several large equipment manufactures where he gained experience in areas such as; manufacturing, technical support/management, technical training, sales and sales & operator training. Lance VanHoof is the Life Cycle Manager, Crushing and Screening, USA at Sandvik Mining and Rock Technology in the US. Lance holds a B.S. in Physics from the University of Wisconsin, Lacrosse and a B.S. in Mechanical Engineering from the University of Wisconsin, Milwaukee. He started his professional career in 2005 with a Mining Equipment OEM in a full size pilot crushing and screening test facility in Milwaukee, WI. He was involved in evaluating the performance of crushers and screens to optimize production in both mining and construction type applications. From there, he moved into heavy equipment evaluation and repairs. He was responsible for engineering activities and project management of welding, heat treating, machining, dimensional inspection, and non-destructive testing of heavy equipment. Lance joined Sandvik in 2012 and brought with his applications and technical expertise to support customers in the aggregates and mining industry. He works on crushing and screening equipment providing technical support, troubleshooting, and applications support for dealers and customers in the US region. David Walker is the Business Excellence (BEx) Manager for Dyno Nobel’s Manufacturing plants and Strategic Engineering across North America. David has been with Dyno Nobel since 2012 and has held BEx roles across Value Chain, Field Operations, and Manufacturing. Prior to Dyno Nobel, David spent 19 years in the automotive industry with Autoliv (airbags) and Honeywell (FRAM™, Autolite™, Prestone™, Bendix™ and Garrett™). He learned first-hand many of the Lean principles as part of a Toyota Supplier Development program while working at Autoliv where the company achieved the Shingo Prize for Operational Excellence. David is a graduate of the Autoliv Production System University where he also developed coursework and instructed. He certified as a Six Sigma Master Trainer with Autoliv and as a Six Sigma Black Belt with ASQ. His primary focus since 2006 has been the implementation of Lean systems and cultural transformations with Honeywell and now Dyno Nobel. While at Honeywell, David’s responsibilities as a Honeywell Operating System (HOS) Group Leader covered 16 manufacturing locations across North and South America. He also served as a Global Best Practice Lead for Just-In-Time (JIT) methodologies. He certified as a Lean Expert with Honeywell. David currently supports the BEx Executive Leadership Council for Incitec Pivot Limited/Dyno Nobel as a Core Team member. David received a Bachelor’s of Science in Business Management from the University of Phoenix with a Minor in Japanese from Utah State University. He is currently working on a Masters of Professional Studies in the Psychology of Leadership at Penn State. David lives in northern Utah with his wife of 30 years and enjoys spending time with their three grown children and 4 grandchildren. Todd Wanless is the Regional Tunnel Practice Leader for Black & Veatch in Kansas City with over 27 years’ experience in the evaluation, design and construction of tunnels, underground mines and caverns. He holds B.S. and M.S. degrees in Civil Engineering from the University of Illinois at Urbana-Champaign and started his career with Woodward-Clyde Consultants in 1990. Mr. Wanless’ design and construction experience includes numerous tunnel and underground mine projects across the U.S., including the Ohio River Tunnel in Louisville, SWSP Tunnels in Houston, Minne Lusa Tunnel in Omaha, Turkey Creek Tunnel in Kansas City, MAC Stormwater Tunnels in Minneapolis, Lower and Upper Northwest Interceptors in Sacramento, and Carter Lake Dam Outlet in Colorado. He currently resides in Lenexa, Kansas and enjoys coaching youth basketball and bass fishing in the Ozarks.